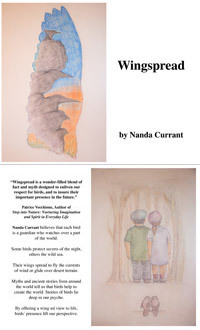 "Wingspread is a wonder-filled blend of fact and myth designed to enliven our respect for birds, and to insure their important presence in the future." Nanda Currant believes that each bird is a guardian who watches over a part of the world. Some birds protect secrets of the night, others the wild sea or some birds may foretell an impending storm. Their wings spread to fly the currents of wind or glide over desert terrain. 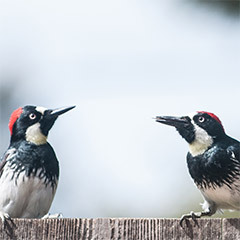 Myths and ancient stories from around the world have told us that birds help to create the world. 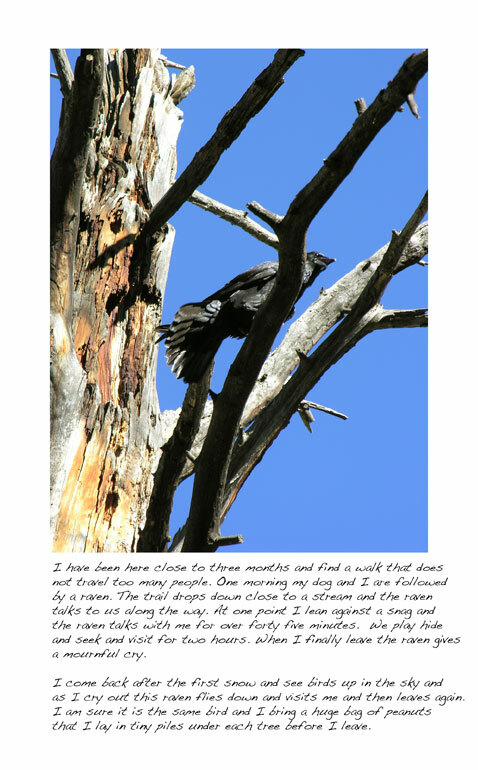 Stories of birds lie deep in our psyche. By offering a wing-ed view to life, birds' presence lift our perspective. Bringing Nature to Life is a compilation of stories, exercises, poems and art ideas for creating a performance piece to help the natural world. The guide introduces several projects and a section on young women coming of age. There are many photos, drawings and pastels to help illustrate some of the themes we worked on for the performances. 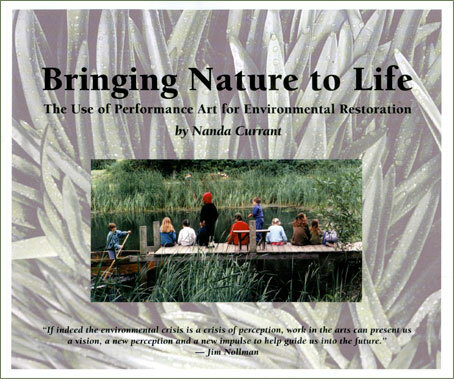 It is useful for teachers and parents and young people wanting to work in the arts in service of the wild. Riverworks is the outcome of a wonderful community arts endeavor. 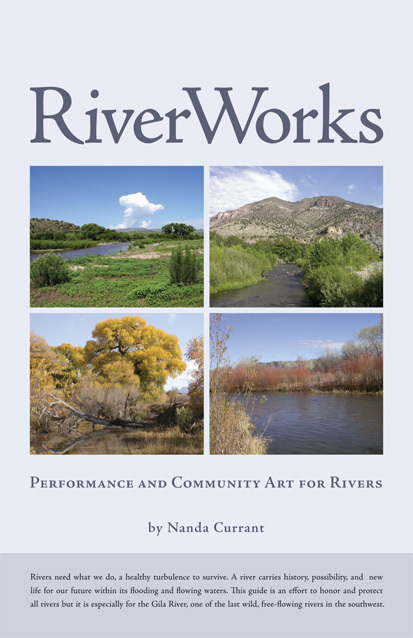 The performances presented in this Guide supported the Annual Gila River Festival, an on-going effort to help the last wild, and free flowing river in New Mexico. 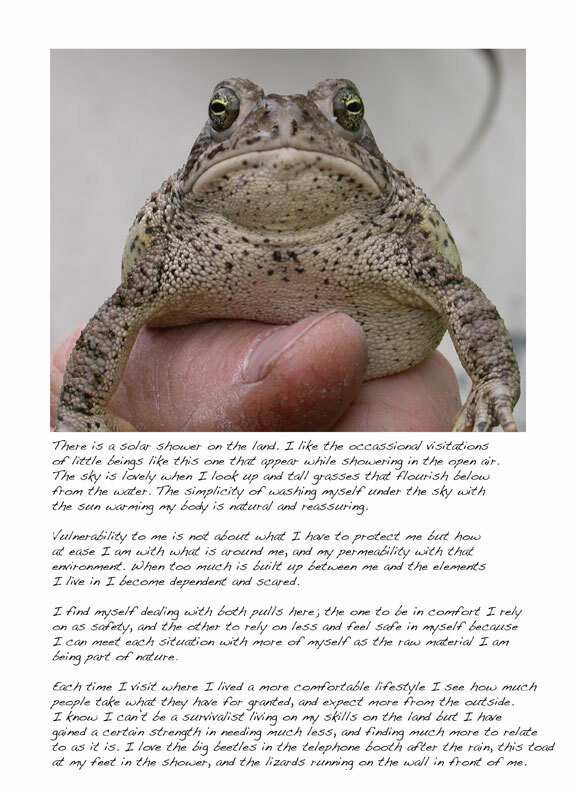 Environmental stewardship is an essential part of our work, and science is brought to life through performance art as an experience and not simply as information filed away as a report. 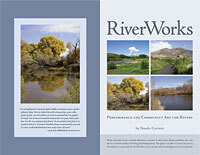 The guide is divided up into four performances: 1) River Voices, River Bodies; 2) Along the Banks; 3) Sensing the River: Animal Presence; and 4) Flood and Creation. This quartet explores culture and voices from the river, life and history found along the banks of the river, our relationship to the animal presence at the river, and the replenishment possible in the flood of creation. 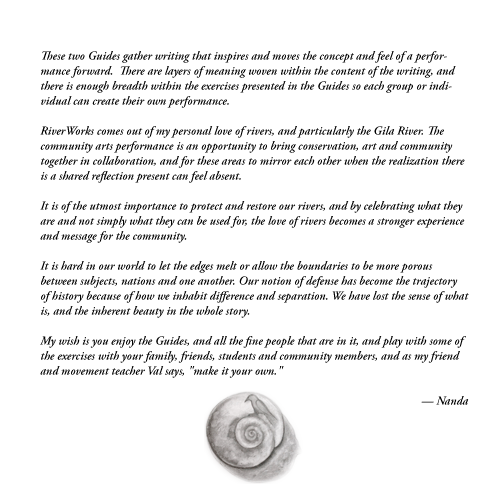 Please read this personal note from Nanda about the Guides. 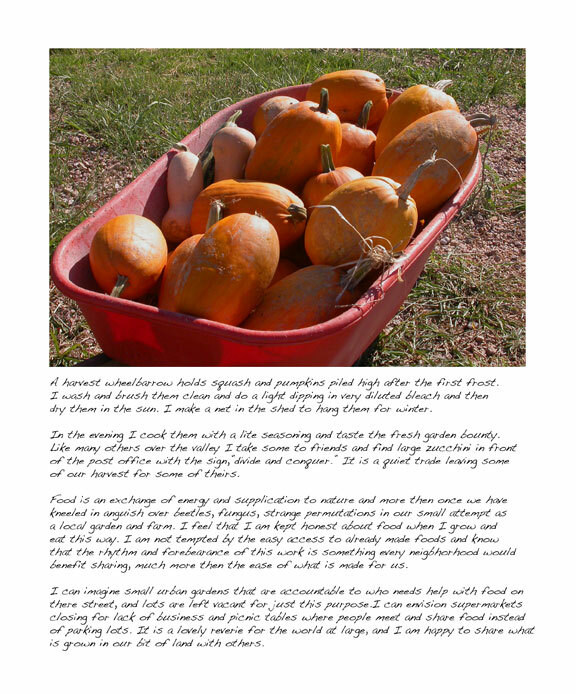 The documentary work in these various projects are focused on inspirational themes about artists, friendship and cancer, homeschooling, a wolf dog, and urban farming. The DVD's deepen our understanding of these topics. 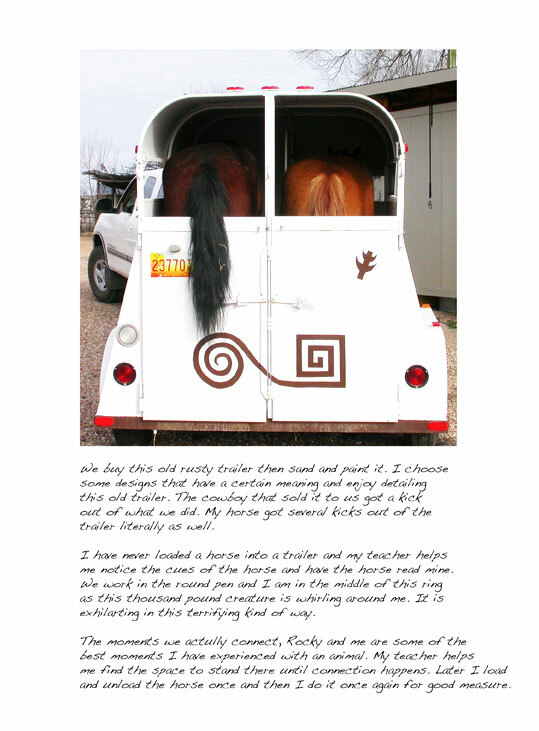 As an artist I work on projects that I feel offer us new vision, and possibility for the future. Links to films that are online are listed below. DVDs are available and showings can be arranged along with a guest speaker. Please contact Nanda at for further information. The concept for these videos segments in one film is to offer "A Wolf Commercial" for the viewer. 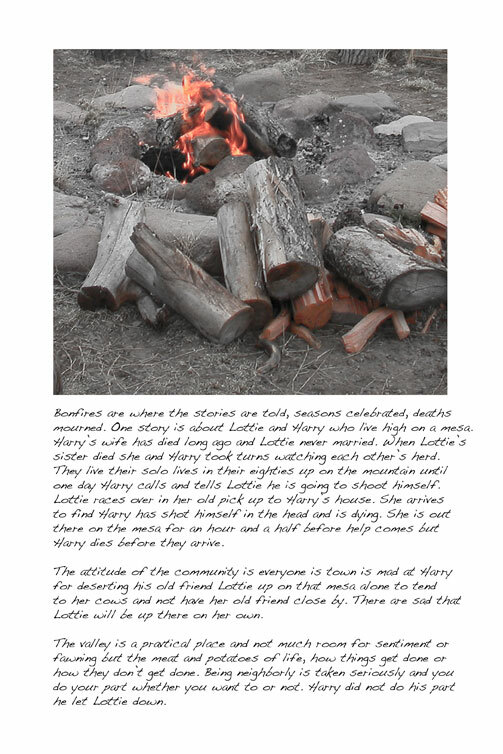 I have edited together material from various sources for education and to encourage others to help wolves thrive in their state and elsewhere. Their future is tied into our own future. A short video about The Four Perceptions of Wolves. The idea is to create a Wolf Support Commercial for the viewer. 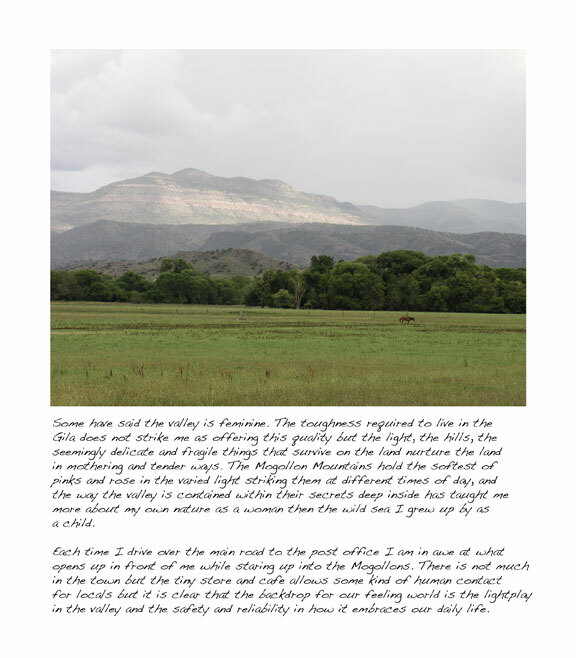 This is taken from the book Living with Wolves by Jim and Jamie Dutcher. 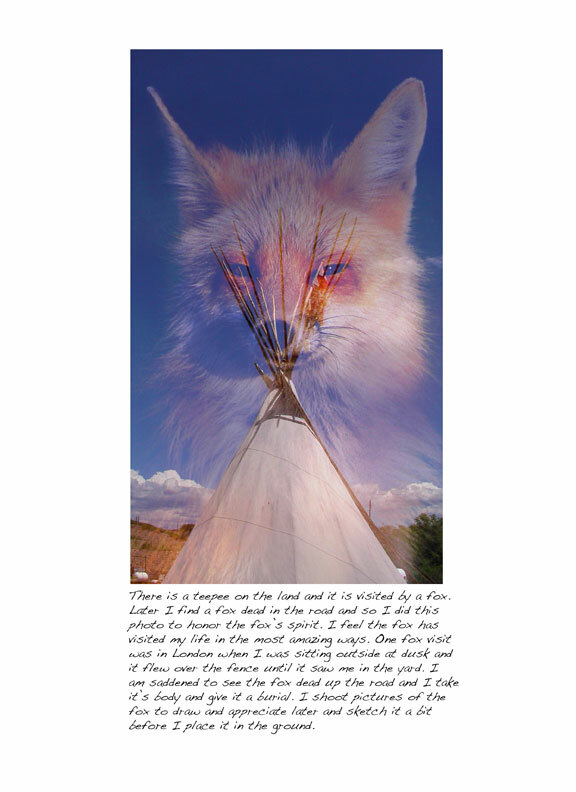 Find out what is going on in your state to find ways to help wolves, and all predators, to flourish. Wolf Commercials from Nanda Currant on Vimeo. 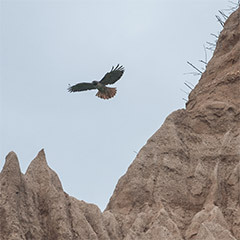 Walking along the cliff park above the beach below I see a hawk flying low to hunt. I began to watch for this hawk on our walks at the beach. One day the hawk flew right over my head. I leaned back with my camera to video the quick but penetrating gaze as the hawk hovered above me. Every morning and early evening I put out a small amount of seed and nuts along the old wooden fence for local and migrating birds. I began to film their visits and found a song from an unknown singer online. I wanted to honor both the birds and the song. Since making the film I have made photo transfer panels of each bird that I sewed to a background and photos of them. 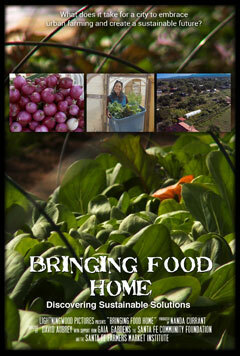 BRINGING FOOD HOME is a film focusing on sustainable solutions for local food in Northern New Mexico. The documentary features several farms and gardens in the region practicing regenerative agriculture. Produced over the last two years, the documentary hopes to provoke constructive dialogue, inspiring Santa Fe and other cities to embrace urban agriculture as essential to a resilient community. The flurry of reactions around the creation of Gaia Gardens, a one-acre farm within a residential zoning area in Santa Fe, provided the impetus for this documentary. The controversy has raised a larger question for the community: how will this high-desert city sustain itself in the future? The film goes beyond the specifics of Gaia Gardens' circumstances to explore the need for visionary policy change, as well as a radical shift in our relationship to food. Local farmers, land-use professionals, educators and policy makers present insights into fostering a sustainable future. 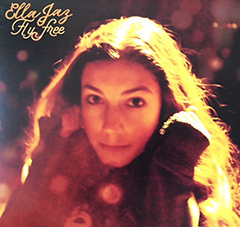 "Back to the Woods," written and performed by Madeline Alfero and Paloma Dames is a track from the CD, "Ella-Jaz-Fly Free." 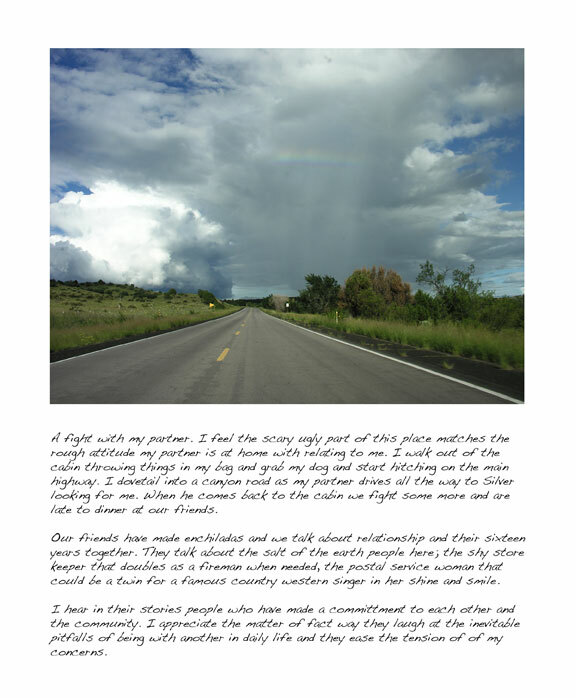 The money raised from the sale of the CD supports Heart of the Gila, an organization dedicated to protecting the Gila River in New Mexico and the wild places of the Southwest. Ella Jaz Kirk—musician, dancer and river protector—was born August 15, 1999. A prolific lyricist and composer, she gifted us with her spirit of song. 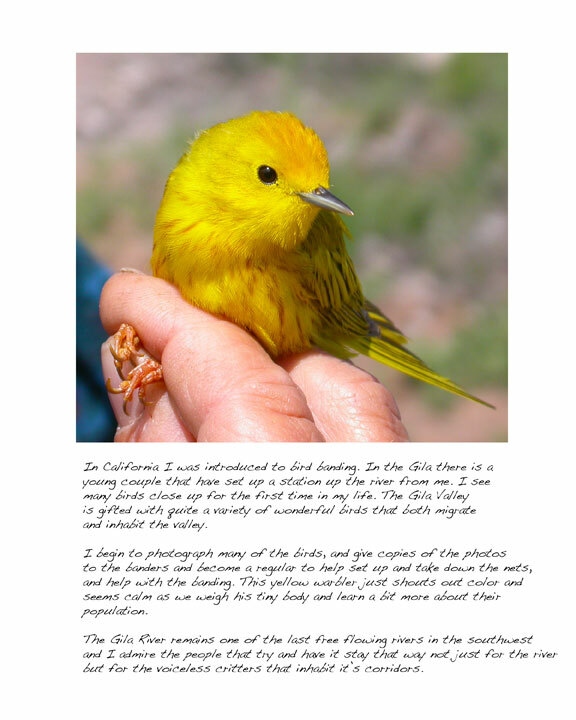 Ella flew free on May, 23, 2014. She lives on in songs she sang and the love she shared. 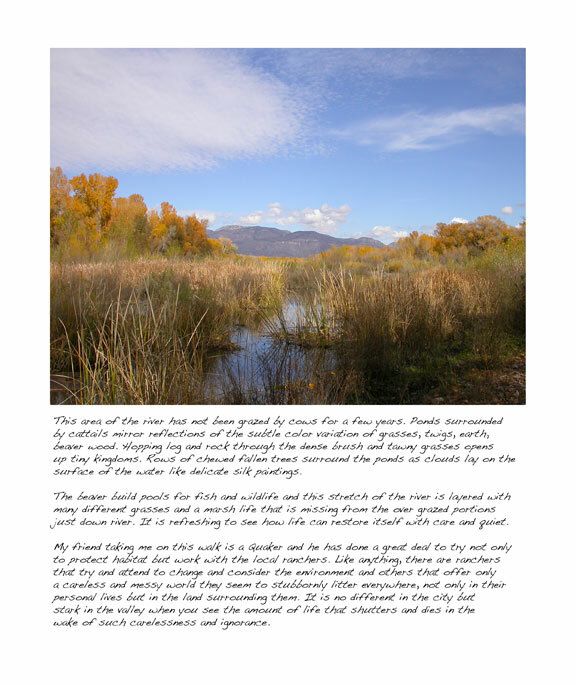 Heart of the Gila is an organization of decision makers about the ecological, cultural and spiritual values of rivers in New Mexico and the wild places of the Southwest. 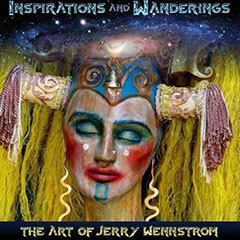 This video of Jerry Wennstrom's work made by Nanda Currant shares both Jerry's wisdom and his recent series of sculptures on the Elements of Air, Earth, Fire and Water. 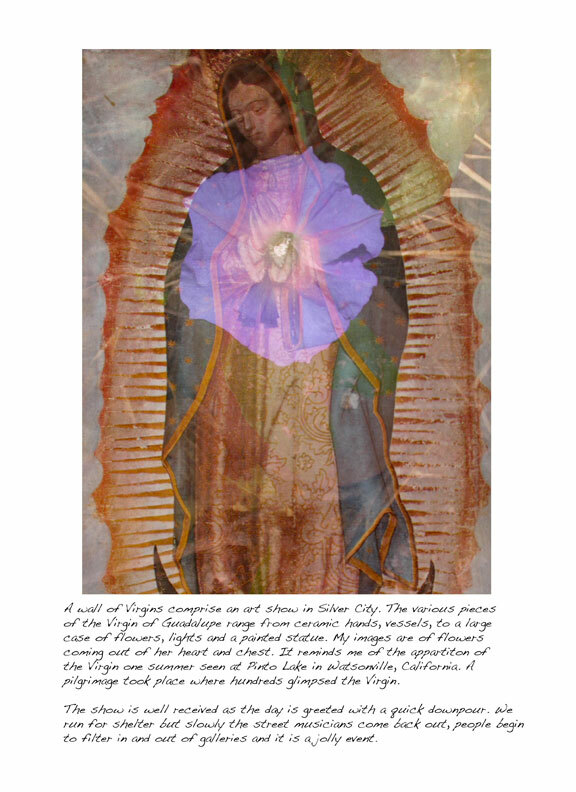 The video includes other pieces; Faces of Eve, Feminine Balance, The Piano, Clyde Emerson TV, Nurse Log, The Confessional, Maiden Flight and other fine work. 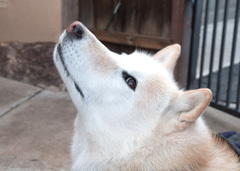 "This is a story about Lupine who is a wolf dog. 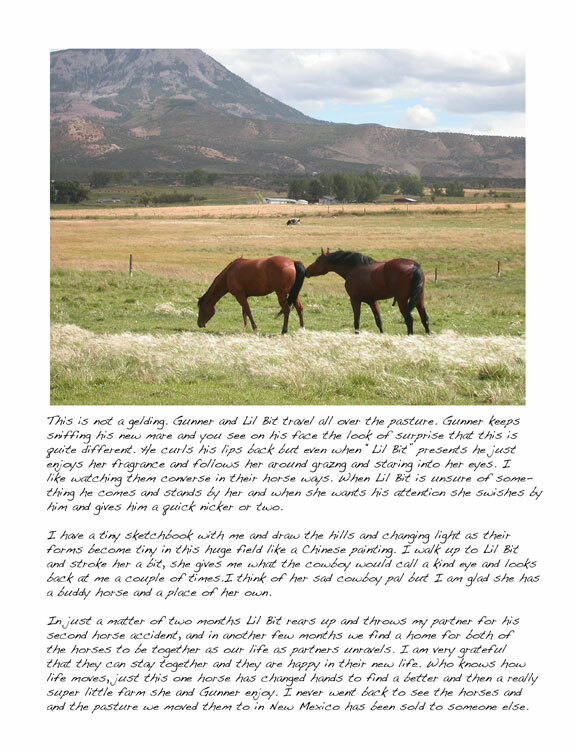 It introduces her life, some of her adventures and journey through life. The movie also introduces some of both Kevin Behan's writings and ideas, and the work of Wild Spirit Wolf Sanctuary and Leyton Cougar, a rescue program for wolves and wolf dogs. 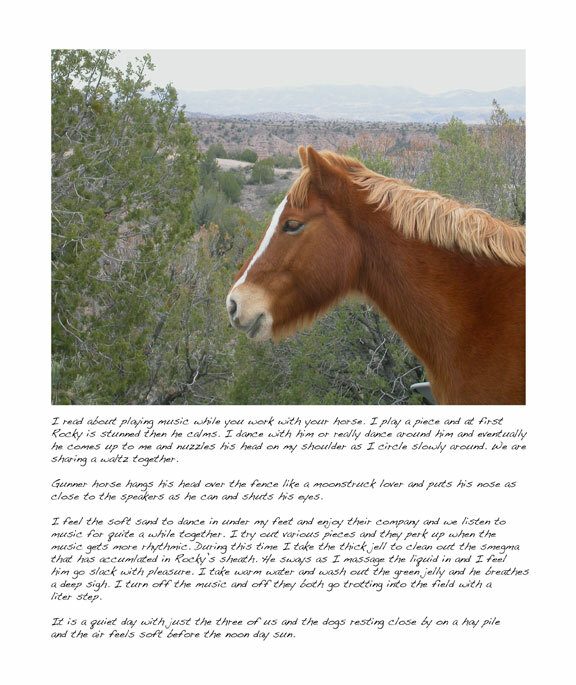 Lupine develops cancer and this film is to honor her life and spirit.."
I've kept a journal about my journey with dog friend Lupine, who has been diagnosed with cancer.